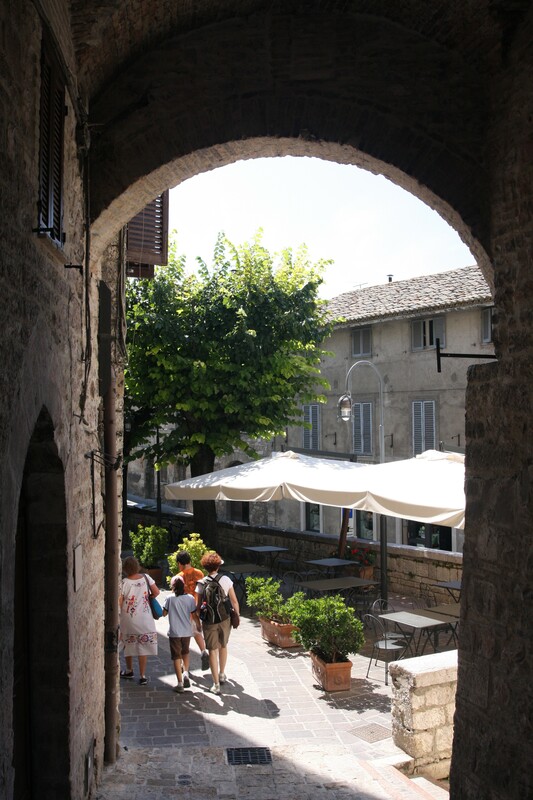 Rewind: Summer of 2008 – A fascinating morning spent touring the ancient hill town of Assisi in the Umbrian region of Italy with our tour guide, Anne Robichaud. Following the tour – a private wine tasting arranged by Anne at Enoteca Properzio south of Assisi in a beautiful Italian hill town called Spello. The afternoon was inspiring, charming, and overflowing with yummy flavors and memories that our family will never forget. Fast Forward: February 2012 – Inspired by that day in Umbria, my food blog reaches its 2nd anniversary and to help celebrate the occasion, the Angelini’s, the 8th generation family running that Enoteca in Spello, arrive at my home in San Jose at 2:30 PM to prepare for an evening of wine, olive oil, and food tasting. It is a happy reunion with lots of kisses on the cheek, hugs, translating, hand gestures, laughter, and preparation to share their premium wine and food products with our guests. 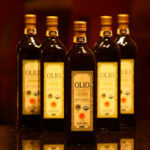 As I recounted in my very first blog post, we ordered wine and olive oil during the summer of 2008, and reordered the olive oil in the spring of 2010. Roberto Angelini and I have stayed in touch by email and when he wrote to me about their winter tour of California hosting private tastings, he asked if I would like to attend one. With hope, I asked if he could add another tasting at our home instead. To my surprise they were able to schedule one more and so the story progresses. Both of us taking a leap of faith, confirm the date and time and I proceed to invite a wonderfully eclectic group of wine-loving friends to attend. Roberto assured me in many emails that my guests would not be disappointed. When the boxes of wine and food arrived, it was clear he spoke the truth. After opening them to view the contents for storage purposes, it took all my self-control to close them back up, store them in a cool dry spot, and pretend they weren’t there until the tasting day arrived. 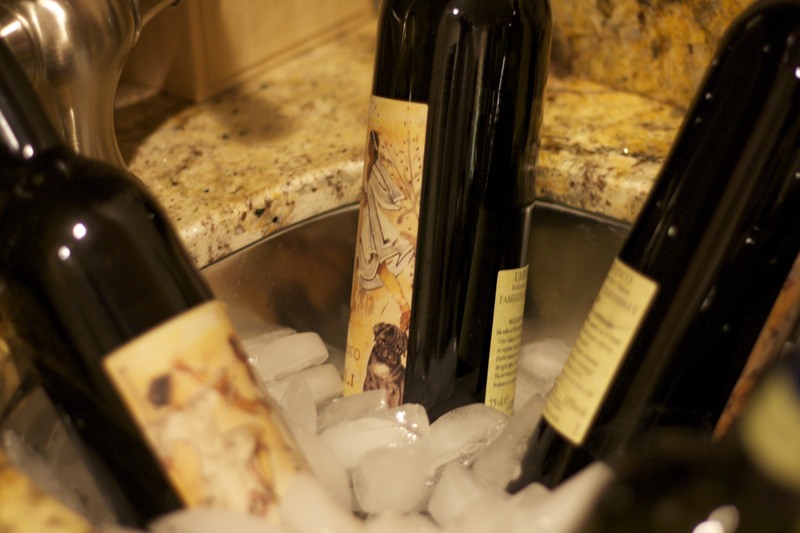 We recognized some of the wines as ones we still have laying down from our 2008 visit – huge wines with long staying power from premium winemakers producing only very small quantities. 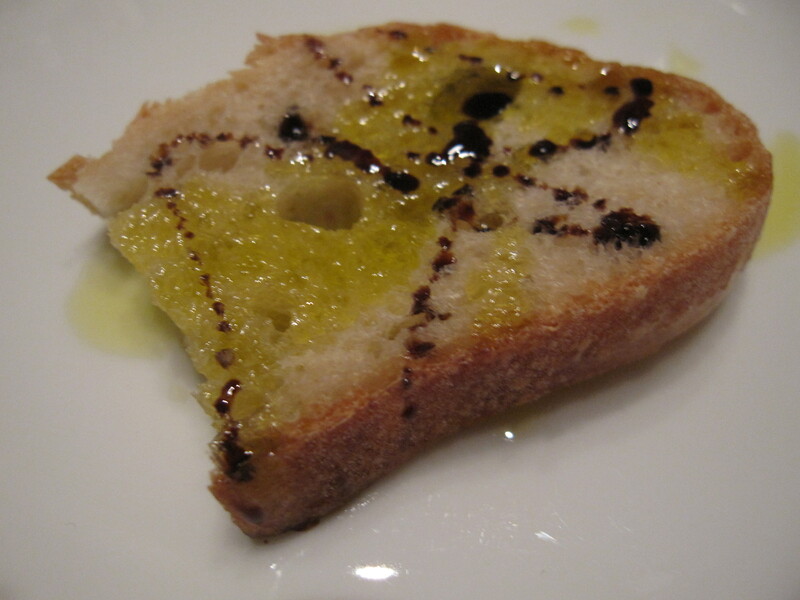 Two olive oils – the one we already have and another that the great chef Alain Ducasse uses. 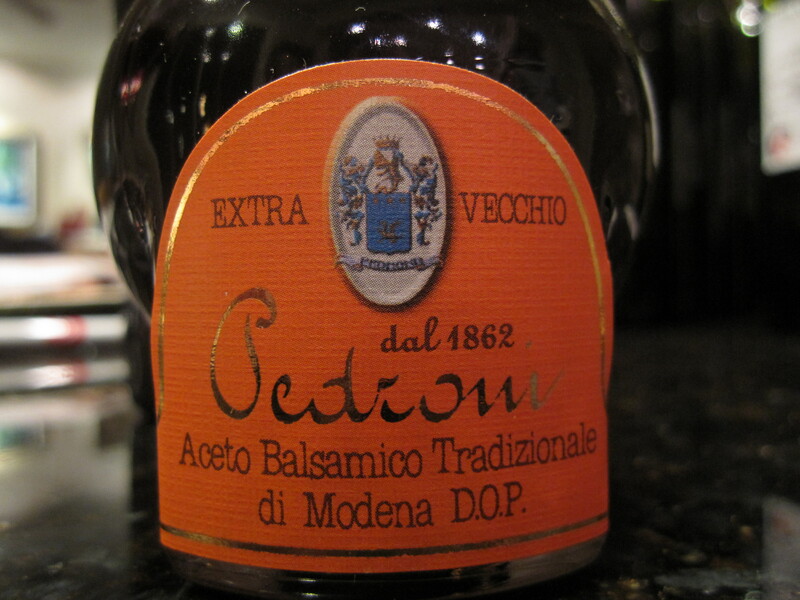 And there was the 25-year-old balsamic from Modena – a tiny bottle of liquid gold. And the black truffle spread and six glorious types of cheese including a black truffle-studded pecorino and a grana padano riserva. These products alone would make anyone’s taste buds dance with delight. But to have them served to you by Luca, the charming son, explained to you in Italian by Roberto with translation by his bright and beautiful daughter Irene, and prepared for you by Roberto’s lovely wife Danielle, was really just more than one can hope for, especially on a Thursday night in February in San Jose. 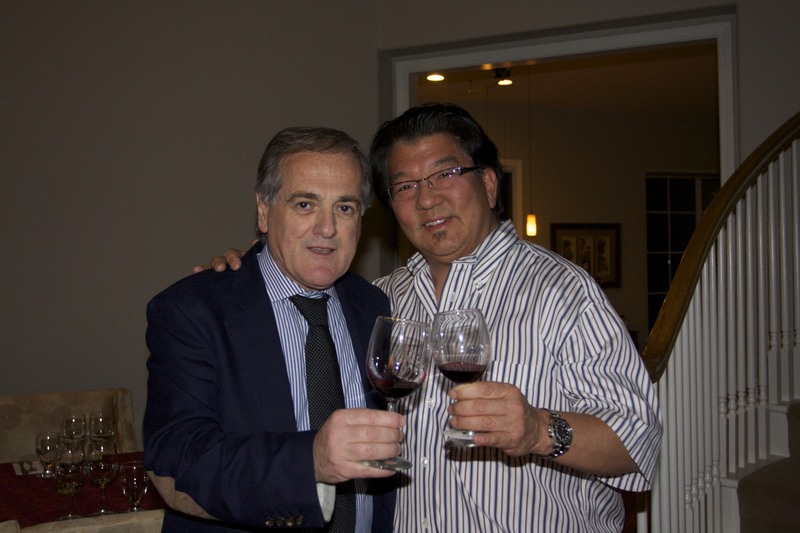 As Roberto opened the wines to breathe, he offered me a taste, toasting Cin Cin! I tried to resist, saving myself for the long night ahead but his spirited encouragement and the wine was infectious. Even @dormantchef came home early and Cin Cin’ed his way through the late afternoon. 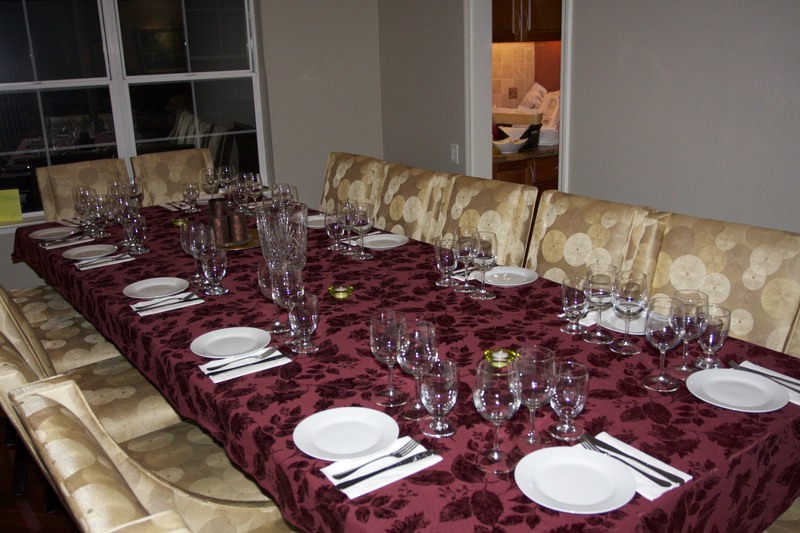 With 22 table settings on the table, and over 30 bottles of wine ready to pour, the evening was underway. We started with two unique white wines – a Tili Etrusco blend of pinot noir and chardonnay whose flavor is as unique as its bottle – providing all the refreshment of a crisp starter white with none of the ugly oaky chardonnay flavors I have grown to resist. And it can age – what a convenient characteristic for a white! The second white, a Sette Note 2009, had overtones of peaches and apricot and lulled us into finishing each drop, despite rumblings in our head about how many robust reds were yet to come. I wish I could give you a full-blown flavor review for each wine – but my attempt to take notes on my iPhone (as @dormantchef said “this is not just a party honey, you’re supposed to be working aren’t you?”), was overshadowed by my enjoyment of my guests, the food, and my attempt to keep up with each successive pour. But here’s the net-net of it all, the wines are all truly outstanding and not like anything available in this country. 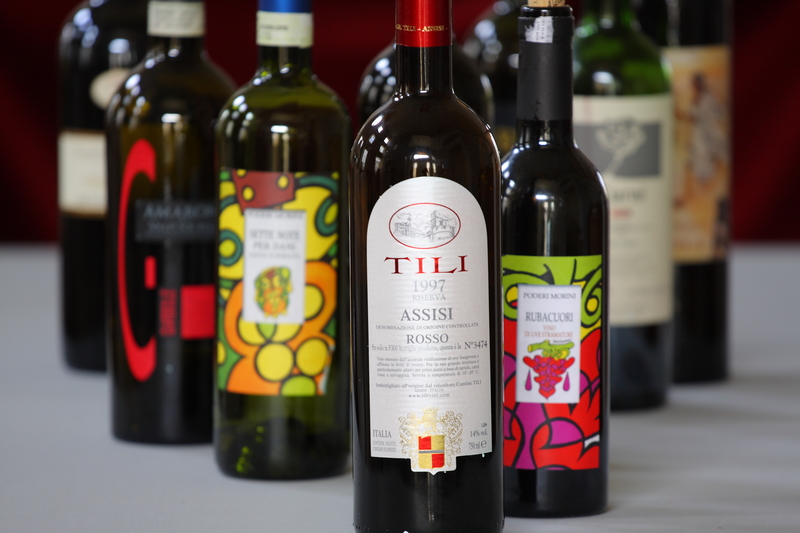 Several have been listed in a book by Joseph Bastianich called Grandi Vini: An Opinionated Tour of Italy’s 89 Finest Wines. The Sagrantino stood out as tougue-twisitingly tannic, but that will only turn the wine into something big and wonderful many years down the road. 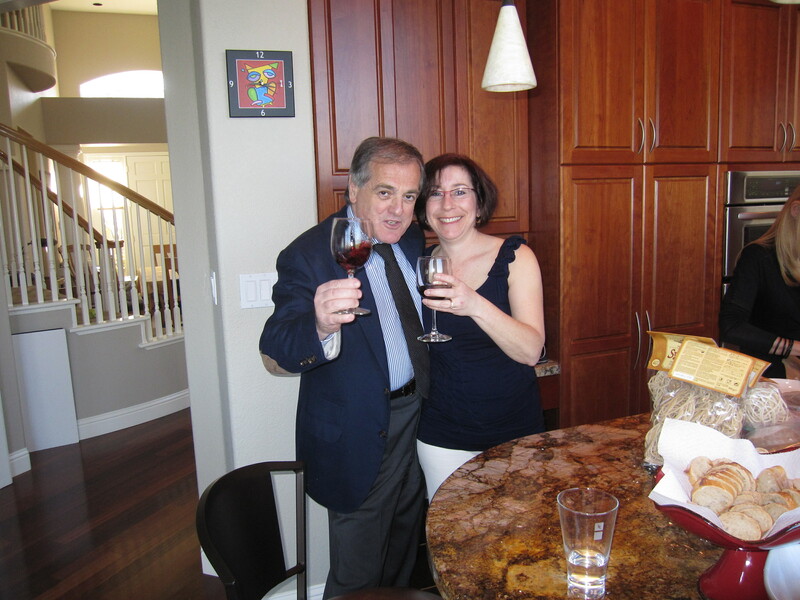 And the Kurni – a wine we still have from our 2008 purchase – had flavors of bananas/plantains. While that might sound like a bizarre tasting note for a wine, it was as lovely as it was unusual. 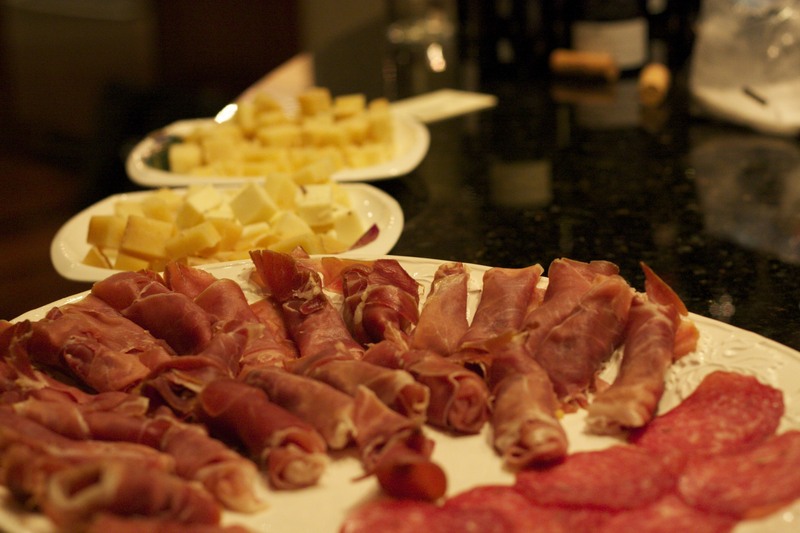 The food was simple – starting out with fresh prosciutto and genoa salami that I purchased at my new grocery store that morning, then proceeded on to several bruschettas, highlighting the two olive oils, the syrupy balsamic, and each of four jars of pesto – white truffle, black truffle, arugula, and sundried tomato. We then had a chance to try each of six Pecorino cheeses including a spicy one and a truffled one, followed by a strangozzi pasta simply prepared with black pepper, olive oil, and gran riserva pecorino. To highlight the last couple of big reds, we were served beef tenderloin with roasted vegetables. Dessert was a crunchy tozzetti – a chocolate biscotti paired with an eye-popping grappa that very few of us were able to finish at that late stage of the evening. 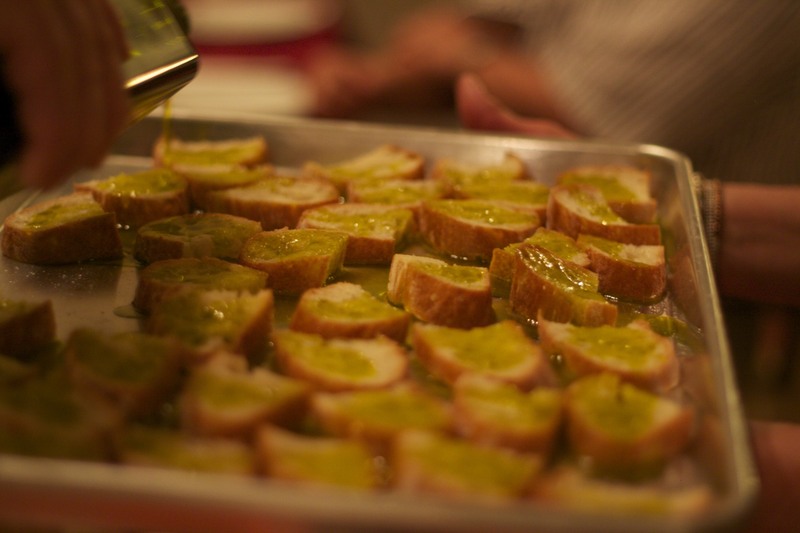 It was a spectacular night – worthy of marking my two years of food blogging and proving that the memories of Italy from 2008 are not exaggerated by time. It was a life-changing summer for our family, for me, and continues to enrich our lives in our minds and in reality! Thanks to @gregorytlee, @dormantchef, and @yumivore for contributing their photography skills and taste buds to the evening. Thanks to all of our friends who found their way to San Jose on a work night to share this special event, and a huge thank you to the Angelini’s for making our home part of their 2012 tour of the United States and Canada. We hope we showed them as much hospitality and warmth as they shared with us in their ancient and beautiful storefront in Spello. Cin Cin! Wordless Wednesday (almost) – My Daughter Bakes Her First Cake! results quicker than other means but you need to have patience. 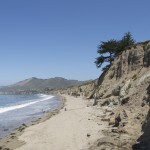 Nice blog on food and wine. Pictures on recipe is great. I liked it …. Oh, how amazing this whole experience sounds! The food looks delectable and the wine sounds amazing. 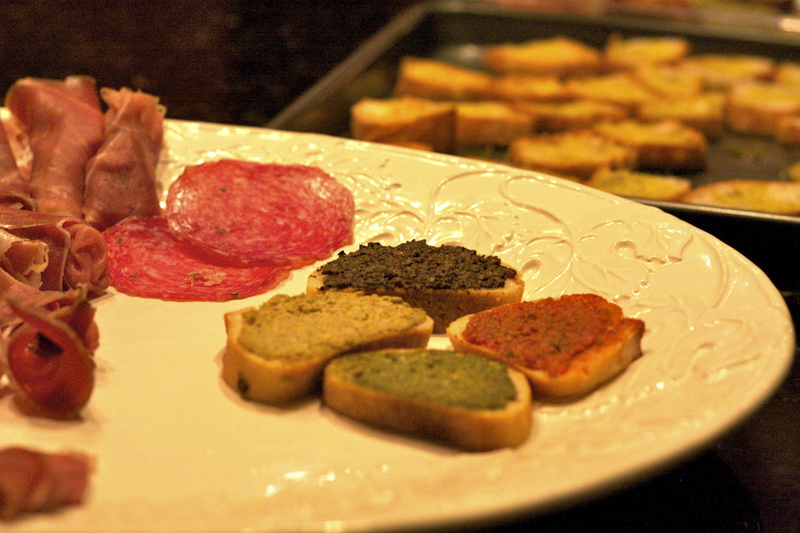 What a wonderful experience to have such a fantastic tasting hosted in your own home! My dear friend, this wonderful night spent surrounded by family, friends, great wine, and delicious food is the most appropriate celebration of your blog. I lived vicariously through this dinner, a bit jealous, a have to say, for not living closer:) But there is always another time! Here is to many more wonderful blogging years to come! Yes, Elizabeth would have loved to have been here as well. I will bring a bottle from our stash for our next rendezvous – ok? It was a wonderful evening and I would have loved to share it with you. Thanks Merry Jennifer. 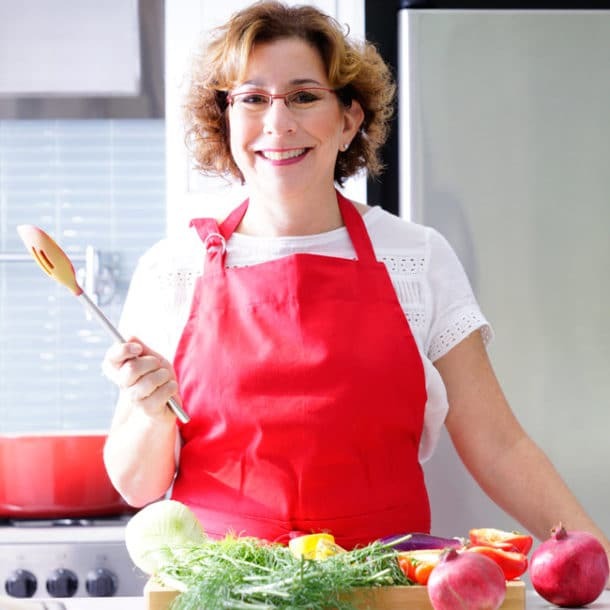 I am loving the world of food blogging – so much to learn, so many great people to meet, and such a great opportunity to extend my skill set beyond high tech marketing. I hope this is only the beginning! Wow- how fabulous…I am almost (almost) speechless! Looks like a beautiful evening filled with THE BEST things- friends and food and wine. You put the BEST things in the right order: FRIENDS were the best part though the food and WINE was crazy good. So glad I pulled it all together, even tho life has been oh so hectic. But it was worth it, so worth it! Thanks so much for coming by! Fabulous! You are so lucky. That evening looked amazing. I’m actually originally from Los Altos. It’s fun to see another blogger from the Bay Area. Oh my gosh – “social media sense maker” – we really need to talk! Cuz if you’ve made sense of it all, then you are beyond extraordinary! Love to meet up with locals! Where are you settled now? what a very cool experience. happy sits day! I am here from SITS and am so happy I am! This post was just so full of fun and good times!!! I Great blog! Well, it’s “pretty ugly” outside but all these visitors have made my day oh so pretty anyhow! Thanks for coming by. Don’t be a stranger! What a thrill – on so many levels! To have this Italian family in your backyard – your home even – how wonderful. I’ve been to Italy twice – once with my daughter touring the Mediterranean coast and once with another daughter and son – skiing in the northern Italian Alps. But never to Assisi – and it’s SO on my bucket list. I’m glad to have the link to your guide and to have read of your trip there. Beautiful photos and oh my gosh – mouth watering food! Not that I’m wishing away my time with the kids at home but now that you’re an empty nest mom, you really can start working on that bucket list! 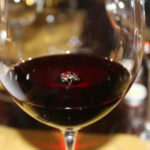 And I would heartily recommend our tour guide and the Enoteca and the visit to Umbria. 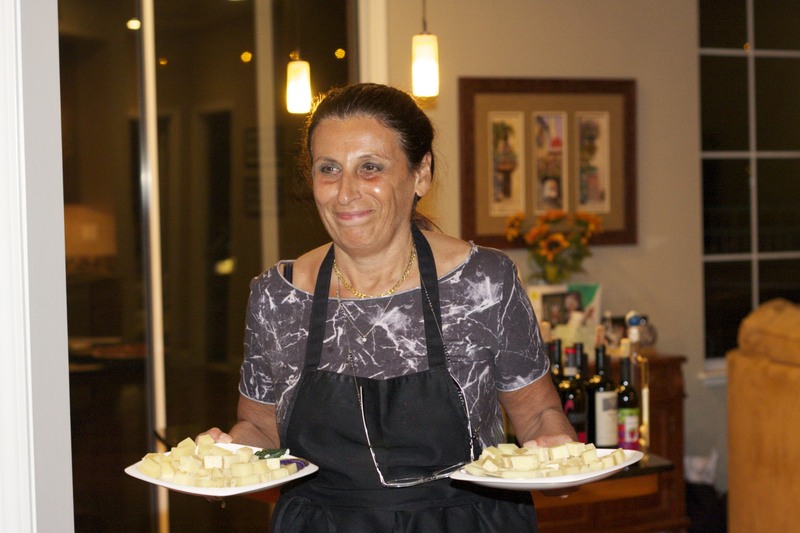 Anne can help you plan your trip and you can even arrange to cook with her in her home! I am envious of your trip to both the Alps and the Mediterranean coast – both are on my bucket list which is mostly just getting longer these days. Thanks for coming by! I find preparing dinner early in the day is the best time and then you can taste it to be sure it’s acceptable to serve later on 🙂 Thanks for coming by to start your day! Thx Blond Duck – must stop by your blog to learn more about that awesome name! OMG, Beth, I cannot believe this is the first time I’m reading your blog! It is so wonderful! I popped over from SITS to wish you a wonderful SITS Day, only to discover a new blog to subscribe to! 🙂 Happy SITS Day to you, I hope you enjoy your day! Thanks Jennifer. So happy to have you as a reader, commenter, and visitor. It’s my favorite part of food blogging – learning from others and meeting new people virtually and in person every single day! Wow — you sure know how to celebrate an anniversary ; ) That night looks amazing! Congrats on 2 years! Thanks Katy – but the best part has been all the wonderful people, near and far that I’ve met! Such a great community! Happy two wonderful years Beth! A beautiful post capturing a truly memorable event. I can’t express how happy I was to join you; everything was served beautifully and I had a beautiful time. The food was scrumptious and the wine impressive. 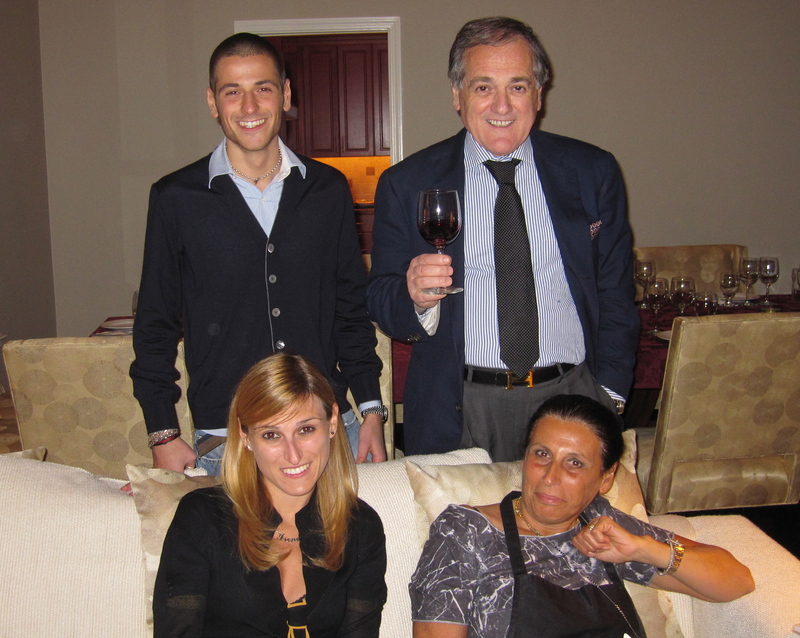 Best part was sharing it together and of course meeting the incredible hosts from Italy. 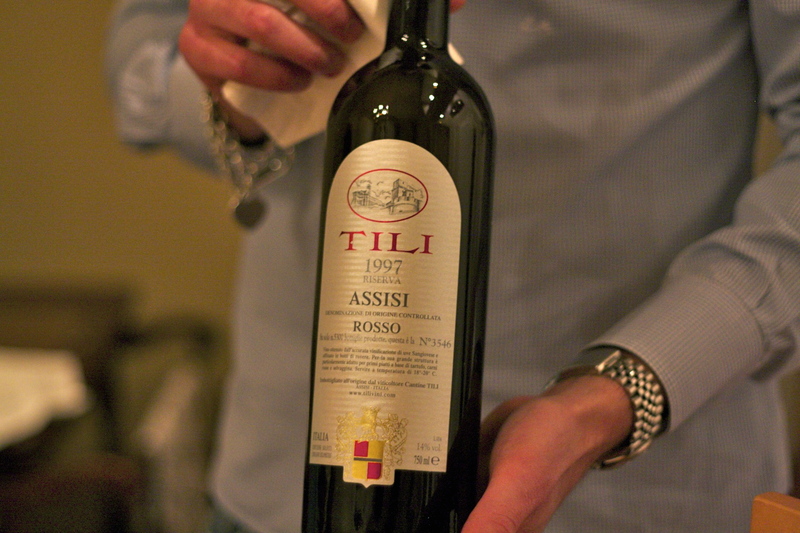 Hearing them share details about the wine in Italian made me feel as though I had traveled to Umbria for the night. 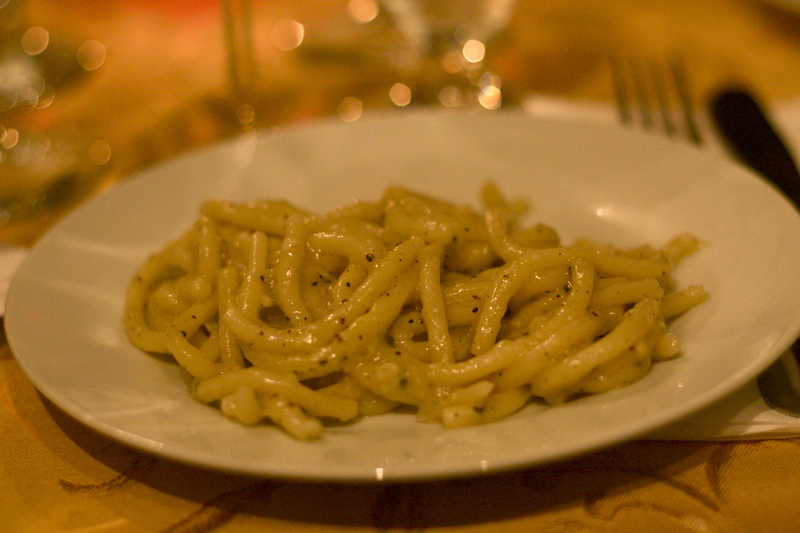 My taste buds certainly had traveled to Italy, and I can’t wait to go back. Cin Cin! I am just so happy I took a leap and scheduled the event. It represented all that I love about food, wine, and food blogging. 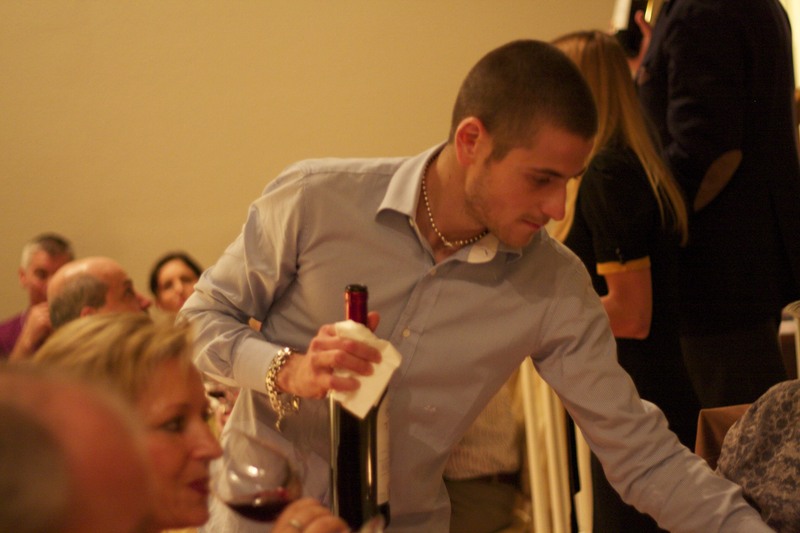 As good as the wine and Italian food specialties were, it was the people that made it so special. So glad you were there Orly! As a lucky participant in this lovely evening, I must echo your comments about the wonderful food and wine. However, what you failed to mention, is how the evening allowed old friends to re-connect, and encouraged people who had never met to become friends. 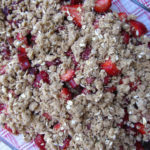 Of course, this is the joy of wonderful food — it enhances our life and our relationships. Cin-cin. I am still so thrilled that you and Arie made it down for the event – it was really all about the people. It was a very eclectic group but fit together so beautifully. 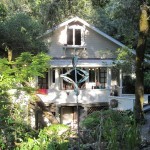 And I couldn’t agree with you more – I loved the food and especially the wine but it was the houseful of people, from all over the world and Bay Area, that really made it memorable. P.S. Happy blog anniversary.Many,many more. Looks like a very nice wine tasting evening. 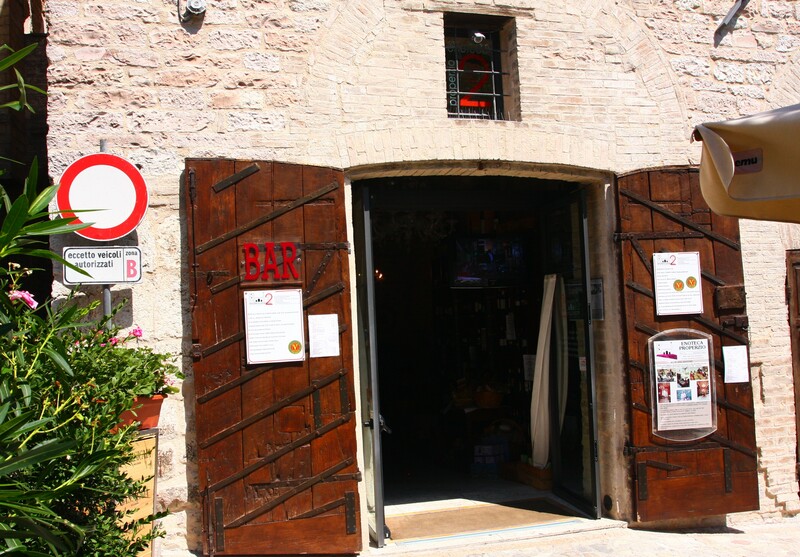 Having been through Spello also and recognizing their place of business. would loved to have been at the tasting. I may not drink but I do love to taste and know a good wine when I taste it. We will have a small tasting with you and Dad when the new shipment arrives. I didn’t know you were in Spello. Isn’t that area just darling? Lovely in every way! Happy blog-anniversary, Beth! The best part of blogging, truly, has been all the wonderful people I have met, virtually and in person, present commenter included!